Everyone experiences some sort of difficulty when they first introduce a new dog to their home, from chewed up sofas to potty accidents. 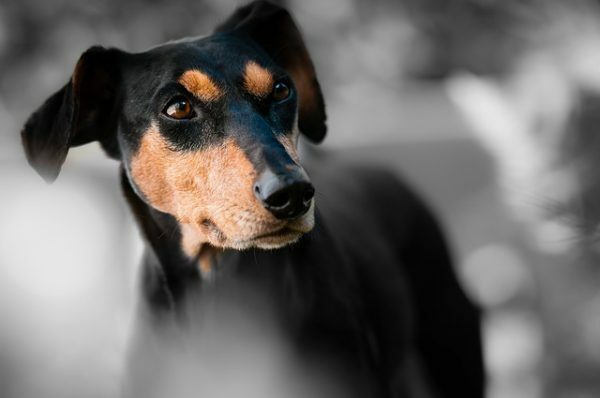 However, if you are noticing that such problems show no signs of going away, you may want to consider the services of a company providing professional dog training. In this blog post, we are going to take a look at some of the signs that now could be the time to hire a dog trainer. Does your dog ignore basic demands? There are several key signs that now is the time to look for a dog trainer. If you find that the basic things are a hassle with your dog, such as the fact that it ignores basic commands, then you may need a dog trainer to help you get started. Aside from this, the main reason for investing in a dog trainer is because of behavioural problems, which can occur in many different ways. If you have a dog that is not house trained in the slightest, then you will probably need some assistance. Sometimes urine marking and submissive urination can be a sign of a medical condition, and, if it is, your dog trainer will help you get to the bottom of it. If your dog is aggressive in any way, you need to find a dog trainer. If your dog snaps, growls, barks, or bites and shows this aggression to you, other dogs, children, or any other people, then you need to find a dog trainer as soon as possible. Does your dog have separation anxiety symptoms? Finally, another sign that a dog trainer may be beneficial is if your dog is showing symptoms of separation anxiety such as nervous behaviour and whining whenever you send a signal that you are on your way out, i.e. when you pick up your front door keys. How will a professional dog trainer help? A professional dog trainer will get to the bottom of any issues your dog is experiencing. In some cases, it may be as simple as you have a naughty dog on your hands and you have not trained it very well. In which case, they will help to establish a routine and discipline. In other cases, your dog could be acting out for a specific reason, which they will get to the bottom of so that it can be addressed. The trainer may also advise on things like nutrition. This can change from dog to dog. The best dog food for Shiba Inu dogs is not going to be the same as other breeds. The same goes when it comes to the level and frequency of exercise that is needed. From nervous behaviour to destructive tendencies, there are many different reasons why you may need a professional dog trainer. There is no shame in hiring a dog trainer; it is better to deal with any problems now as opposed to letting it get worse.